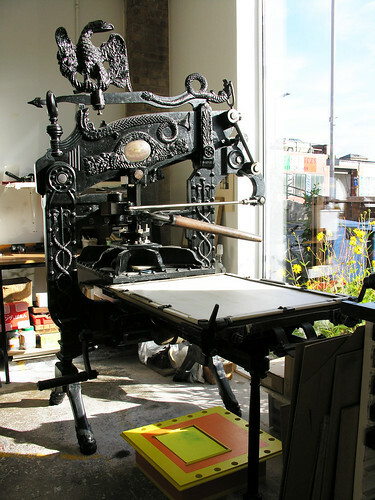 Our Studio can be found at 50, St. George Street, close to Curve Theatre, LCB Depot and Phoenix Cinema. 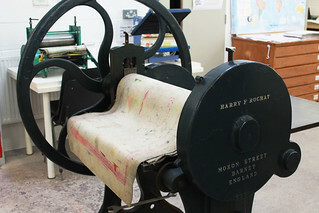 As well as boasting a large, well lit and equipped studio we also have an Education Space, Gallery and a Shop. 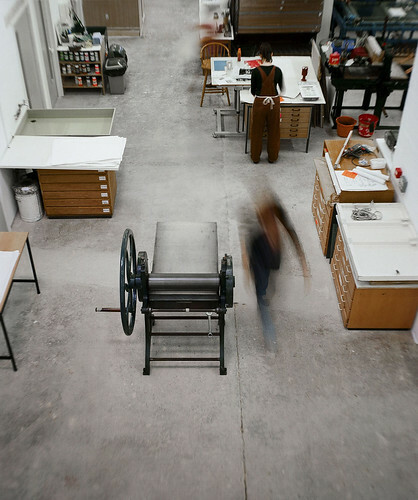 If you’d like to come and look around the studio please get in touch by email or by telephone on 0116 251 4174. 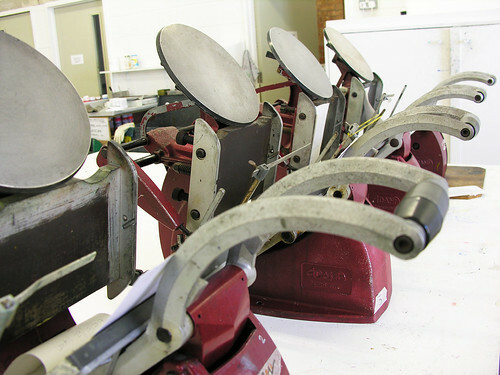 Composing Room equipment: galleys, chases, lead cutter, bowler, composing sticks, etc. We offer an inhouse framing service. Please contact us for more details. Lockers and drawer hire available for storage of prints. We have a range of large drying racks. 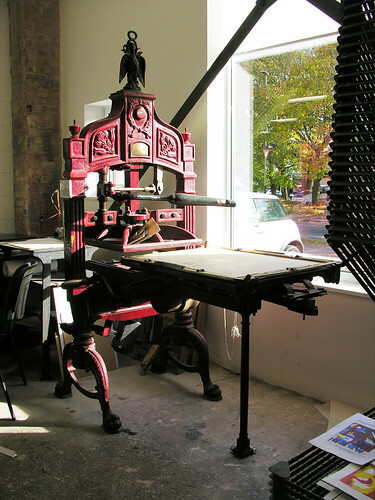 As a registered charity, at Leicester Print Workshop we recycle and restore and can make great use of any printing equipment which is no longer being used and loved (presses, ink, letterpress type and sundries, paper etc). If you have anything that you would like to re-home and donate, please don’t hesitate to get in touch. Your support and generosity will be greatly appreciated by our community of artists and everyone that uses our building.